Picture this: a drizzly, foggy, and grey day in Seattle. Oh, wait: it's November! We have at least five more months of this to look forward to. But no need to hightail it to the Aurora Bridge quite yet. We know what will cheer you up: sweet, hot, cakey doughnuts. No matter where you are in Seattle, surely one of these places will beckon. Cakespy Note: Doughnut or Donut? Both are valid in our mind, so we've tailored it to reflect what each establishment calls their version of this holey, wholly delightful treat. Countryside Donut House: If you like Krispy Kreme's lighter texture, but want more flavor, this is your place; it has an extremely dedicated following and couple of locations, although none directly in the city. 11613 124th Ave NE Ste E at NE 116th St., Kirkland; 21919 66th Ave. W., Mountlake Terrace. Dahlia Lounge / Lola: Both of these Tom Douglas restaurants, perched on either side of Fourth Avenue at Virginia, have beautiful mini-doughnuts on their menu which are unexpectedly rich and delicious; they're like doughnuts on a higher plain, served with sides like vanilla marscapone and seasonal jam. Call ahead to confirm availability. Dahlia Lounge, 2001 Fourth Ave.; Lola, 2000 Fourth Ave.; both at the corner of Virginia St; online at tomdouglas.com. 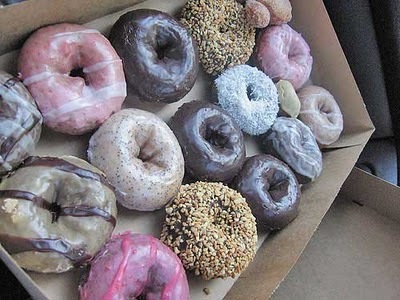 Daily Dozen Donut Co.: Watch cute punk rockers dole out cute mini donuts? Yes please. These lilliputian donuts are simple and unpretentious, usually available in plain, cinnamon-sugar or "fancy" with sprinkles--they're best hot, and we'll admit to a certain thrill when they shake the brown takeaway bags open with a snap. 93 Pike St., Pike Place Market (right across from DeLaurenti). Family Doughnut: Perched near the freeway exit and next to a 7-11 in Northgate, it's not going to win for ambiance, but the doughnuts are so good, they will frequently sell out early on Sundays. Ridiculously cheap: most doughnuts are under one dollar. Cake Gumshoe Allison suggests the "old fashioned" doughnuts. 2100 N. Northgate Way, Unit S (at Meridian). Mighty-O Donuts: They're vegan, so basically they're health food, right? Sure, if that's what you need to tell yourself. Get a donut here, vegan or not; they have a delightful denseness which is very comforting on a cool day and lovely with warm (soy) milk. Our favorite is the lemon poppy cake donut, although we hear that they've got killer pumpkin donuts too around this time of year. 2110 N. 55th St.; online at mightyo.com. Pike Place Bakery: Although they are a full-service bakery, one of their signature products is their "Texas-sized" donuts, which are so big that you wouldn't dare finish one in front of someone (although at home, alone, you might). We recommend the maple donut. 1501 Pike Place; online at pikeplacebakery.com. 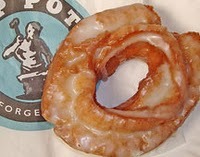 Top Pot Doughnuts: It's true; Top Pot supplies doughnuts to Starbucks. Does this lessen quality? 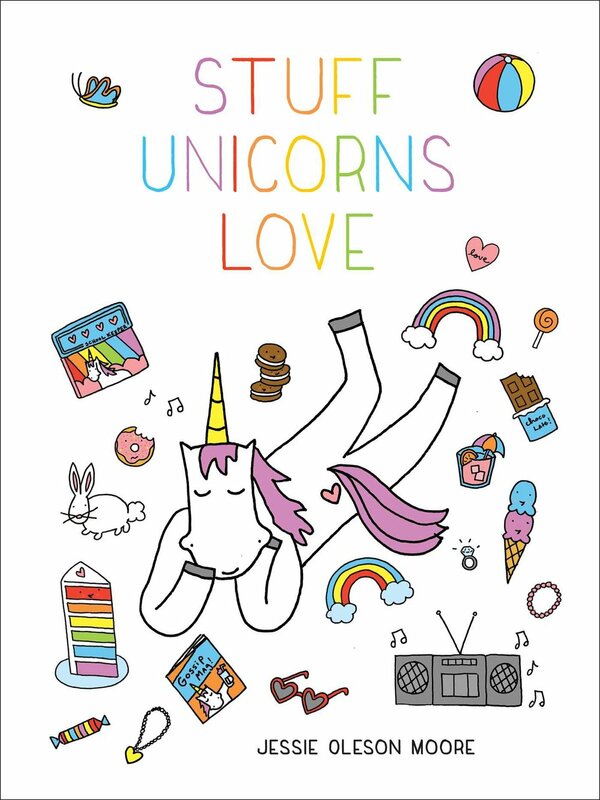 Not so, as proven by our recent doughnut experiment. We favor the Belltown location for its coziness and quirky building, but Capitol Hill and Wedgwood both have their loyal followers (hipsters and families, respectively). They have a great variety of flavors; whether it's the chocolate sandcastle or a Homer Simpson-worthy pink frosted cake doughnut, be sure to try an ovaltine latte too; they're amazing. 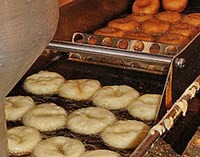 Various locations; online at toppotdoughnuts.com. Winchell's: Sometimes, we've been known to just go in here and sniff the sweet air, and then leave just as quickly. While we don't think their donuts are the best in Seattle, we wouldn't say they're terrible. And if we have to buy one every once in a while just to preserve that sweet smell along 45th Street...then so be it. 211 NE 45th St.; online at winchells.com. Bonus Buy: Need a mascot for your tasting adventures? 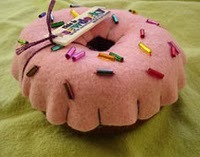 Invest in a felt doughnut made by Seattle-based Sew Dorky. Available at Bluebottle Art Gallery, 415 E. Pine St.; online at bluebottleart.com. 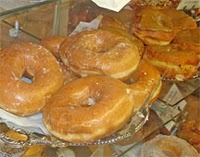 Also: a must-visit for any doughnut/donut lover is theblognut.net. Just go, you'll see. You may get information about the schedules and timings of the alaskan airlines via its online customer centre. The airline tickets of different countries are offered by the different travel agents. The malaysian airlines offer very feeaible airfares for the customers. The services of turkish airlines are accepted by all global travelers due to fine-quality packages.